Tom Heap presents the investigations on Countryfile, revealing the hidden depths of current rural and environment stories. Tom is also the principal voice of ‘Costing the Earth’ on Radio 4, the nation’s only dedicated environment series. He is also a regular Panorama reporter covering food, farming, energy and wildlife. He was the presenter of the long running BBC 1 Daytime series Animal 24:7 which remains popular with regular repeats. 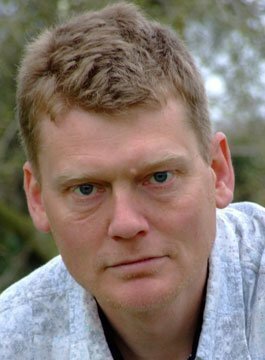 Tom Heap started his career at Sky News as a sound man and worked his way up through the BBC News Trainee scheme to BBC News Correspondent specialising in Rural Affairs, Science and the Environment. In 2003, Tom led a broadcasting team to cover the 50th anniversary of the ascent of Mount Everest ‘Everest Live’ for the BBC with regular broadcasts and hosting a live 30 minute programme from base camp. Tom is a very versatile presenter. He has warmth and affability which has proved such a success for daytime TV, whilst also having the journalistic nous and credibility to be a regular on both Panorama and BBC Radio 4. Tom Heap has hosted and spoken at a number of environment, science and rural affairs events. His style is both informal and informative, seeking to engender a lively atmosphere and useful knowledge for the audience. His journalistic pedigree delivers the confidence and ability to chair a good discussion and cut to the heart of the matter. Clients include the Renewable Energy Association, Syngenta, the Policy Foresight Programme, the General Synod, the National Non-Foods Crop Centre, LEAF, the British Science Festival and the Science Media Centre.